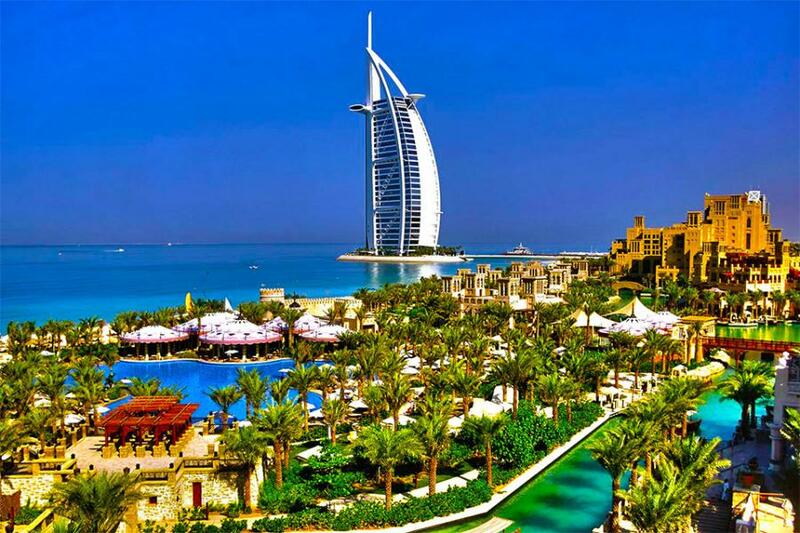 Dubai is the most popular emirate, for visiting and especially for retail therapy. It is one of the most hi-tech cities in the world and is a modern marvel. It is also a shopping haven with ultra-deluxe hotels and facilities that will leave every visitor pampered and indulged. The city is covered with options for the shopaholic; there are several traditional souks or middle-eastern bazaars as well as modern shopping malls that offer a wide range of tax-free shopping options. After breakfast today you’ll get an opportunity to get acquainted with the city. Free day till your program of Desert Safari, we will depart from the hotel and drive up to the deflation point, for deflating tires before entering the desert where the off-road adventure starts. Experience a warm Arabian welcome with refreshing towel, dates, and Arabic coffee on arrival at the North Tours desert camp. At the camp utilize the facilities and entertainment provided; (camel riding, sheesha smoking, photo shoot in Arabic costumes, Henna painting & BBQ buffet dinner). We will end the evening with an exotic belly-dance performance. After Breakfast Free Day for Shopping. After enjoying breakfast at the hotel, you can go for some last-minute shopping (as per your flight schedule). Check-out and take a transfer to the airport for your return flight.